This morning as I was watching James Corden and a bit he does on his show called “Car Pool Kaeroke “, with last evenings guest being none other than the fantastic Mr. Ed Sheeran! 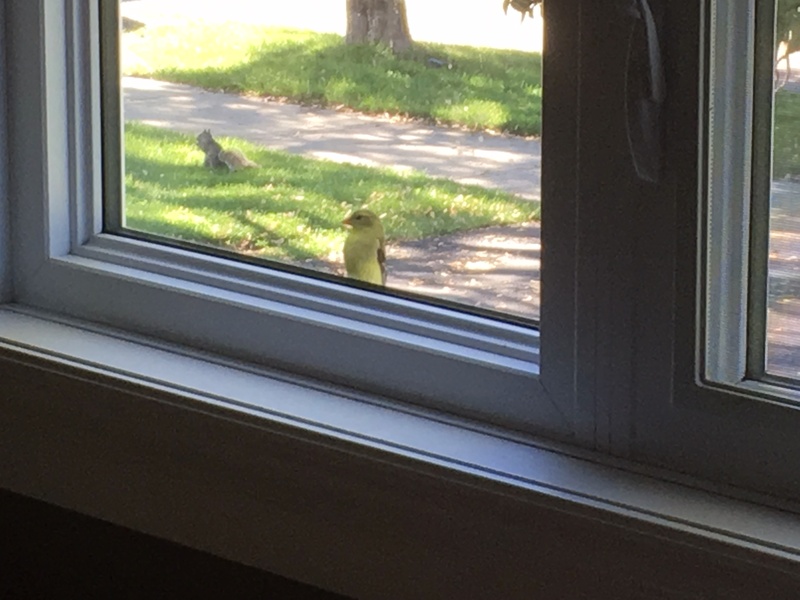 I was sitting by the front window waiting for one of my clients to arrive when I realized I had a different sort of visitor than I was expecting! 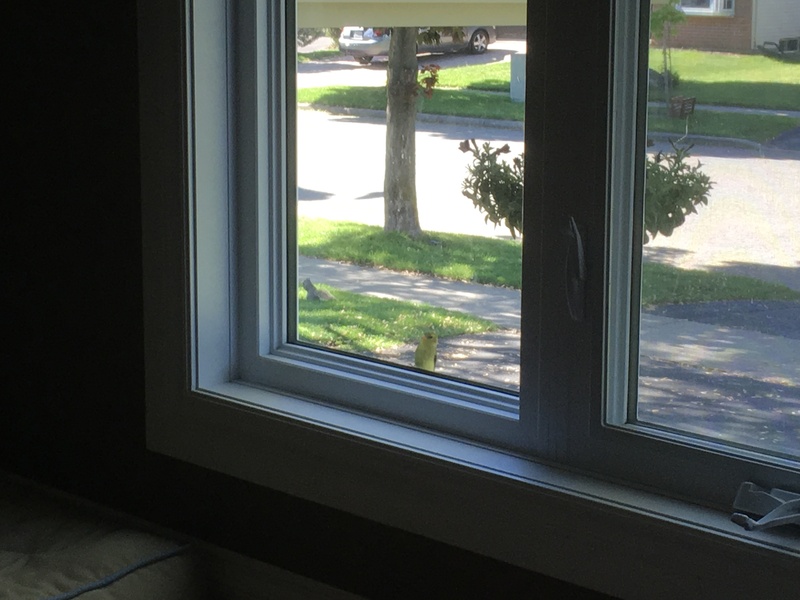 This sweet little bird fluttered past the window a few times and then landed on the sill and peered inside. May sound odd, but the moment was sort of magical and special. For about ten minutes it’s little yellow face animatedly checked out the goings on in my living room…an Ed Sheeran fan maybe? It finally struck me I should get a picture, I’m always slow at getting the camera open on the old iPad so I thought by the time I got my act in gear it would’ve taken flight, but no…apparently it wasn’t in any rush or shy of the paparazzi. Later, I noticed the squirrel in the background, I am feeling a little Snow White like today….minus Seven dwarfs to tend to and an evil step Mother trying to feed me poison apples!